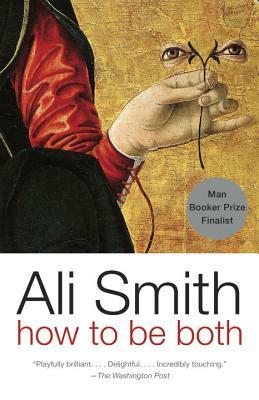 Passionate, compassionate, vitally inventive and scrupulously playful, Ali Smith’s novels are like nothing else. Borrowing from painting’s fresco technique to make an original literary double-take, How to be both is a novel all about art’s versatility. It’s a fast-moving genre-bending conversation between forms, times, truths and fictions. There’s a Renaissance artist of the 1460s. There’s the child of a child of the 1960s. Two tales of love and injustice twist into a singular yarn where time gets timeless, structural gets playful, knowing gets mysterious, fictional gets real—and all life’s givens get given a second chance. Ali Smith is the author of many works of fiction, including the novel Hotel World, which was short-listed for both the Orange Prize and the Booker Prize and won the Encore Award and the Scottish Arts Council Book of the Year Award, and The Accidental, which won the Whitbread Award and was short-listed for the Man Booker Prize and the Orange Prize. Born in Inverness, Scotland, Smith lives in Cambridge, England.